1. Do not opt for suede. At this early stage of the S/S 16 season, it can be too risky when inclement weather is all too possible. Save this sumptuous hide for the summer months; your wallet and toes will thank you. 2. Instead, try out high-shine finishes. Patents, mock-crocs and metallics are even more rain-proof than regular leather—and there are lots of options available this season. 3. 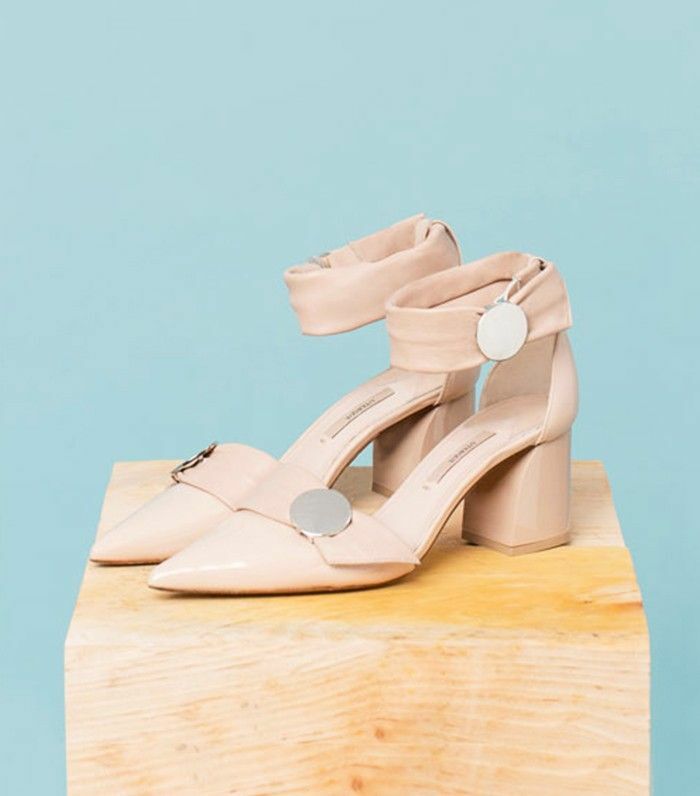 Choose block heels over stilettos. It's just physics: Bigger surface area = less of a chance that you'll go slip-sliding. 4. Seek out an ankle-strap style. This extra bit of support will make you feel more secure when dashing around in the rain, but also give your feet a little extra coverage to balance out the spring-friendly cutaway sections. 5. Go closed-toe. Well, duh! Shop for more versatile heels to wear all season long!